NSD only provides independent diagnosis and analysis of your sleep. If you feel fatigued or have a tendency to doze off, you could be suffering from sleep apnoea. 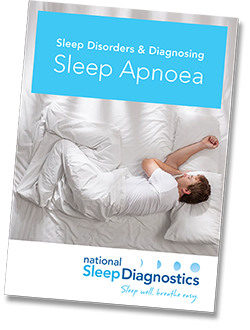 National Sleep Diagnostics provides home diagnostic testing for sleep apnoea at over 50 locations throughout Australia. We are an independent home sleep testing group, we do not sell CPAP and provide only treatment recommendations that are the best for you. If you are suffering from poor quality sleep, feel fatigued or have a tendency to doze off, you could be suffering from sleep apnoea. Get a referral from your GP for a sleep test today. Today’s 24 hour lifestyle, coupled with an obesity epidemic, have contributed to a rapid rise in sleep disorders in recent years. Sleep apnoea often remains undiagnosed and the consequences can be substantial.